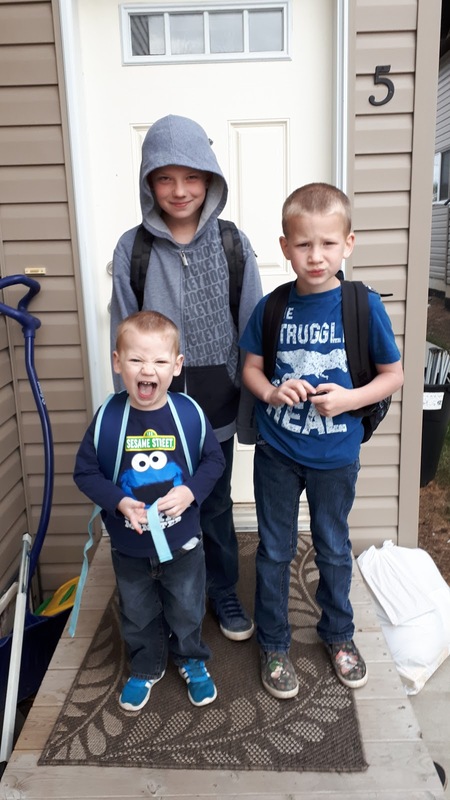 Boys got up and ready for school without killing each other YAY. Now all I have to do is figure out where the hell the time went and how I became old enough to have a middle schooler. Now for some obligatory proud mommy pics of my middle schooler, my grade 2 boy and my 3-year old that doesn't want to be left out lol.